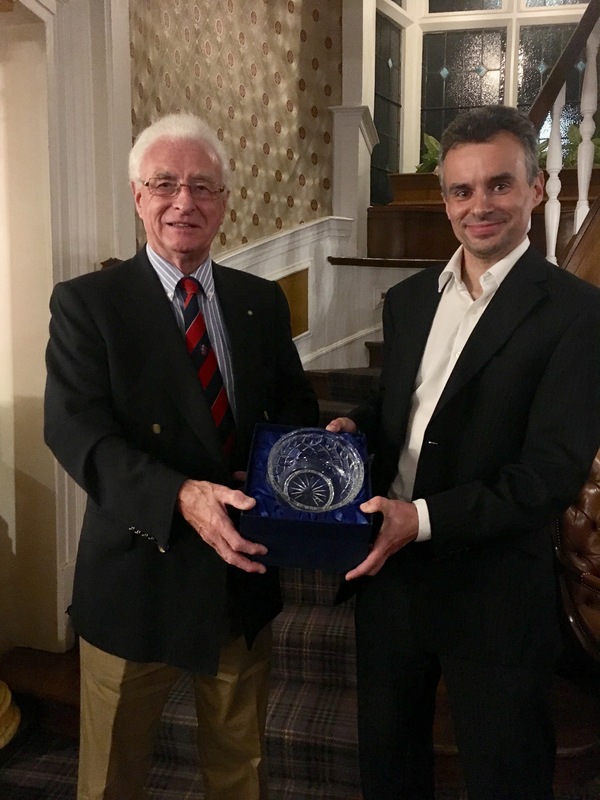 Ian Brown’s immense contribution to badminton in Perth & District and far beyond, was recognised at this week’s meeting of the Perth & District Badminton Association. Ian chaired the Annual General Meeting of the Association for the final time, before stepping down as its President. Ian has been a member of the Association’s Committee for 45 years, 25 of those as President. He has been a driving force in ensuring that the annual Scottish National Badminton Championships have now been hosted in Perth for many years. Badminton has benefited from Ian’s talents not only in the Perth area however. He continues as a member of the Committee of the Midland Badminton Group, is a former President of Badminton Scotland and served as BADMINTONscotland​’s Company Secretary for 26 years. Ian has also been a key part of major badminton events, including last month’s hugely successful BWF Badminton World Championships in Glasgow. His achievements have not gone unnoticed and earlier this year, Ian was awarded the British Empire Medal in the Queen’s Birthday Honours List. In light of all of that, the Perth & District Badminton Association was delighted to appoint Ian as its Honorary President, maintaining their longstanding links. Ian was presented with a gift from the Association by new President Ross Paterson.